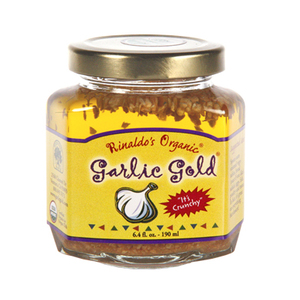 Organic, unique and hand-crafted, our healthy gourmet garlic condiments turn any meal into a memorable dining experience! 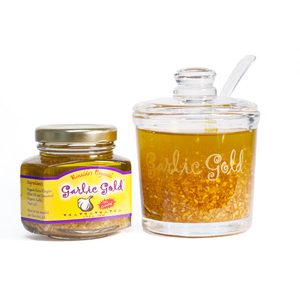 From the crunch of the sweet garlic Nuggets to the subtle garlic infusion of the highest quality in our oils and vinaigrettes, these artisan delights are truly one of a kind. 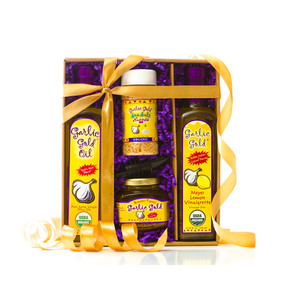 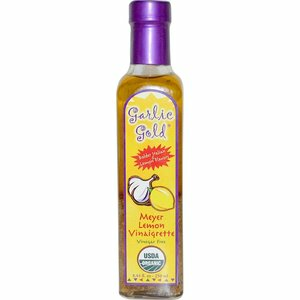 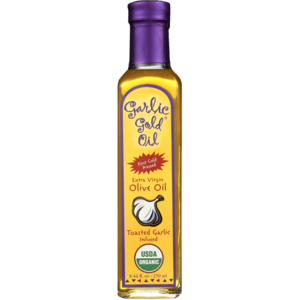 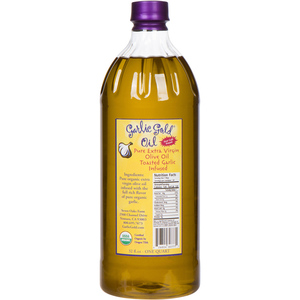 Garlic Gold® and Garlic Gold® Oil are made with first cold press organic extra-virgin olive oil, and are spectacular when used for scrambling, frying, sauteing and roasting - or simply drizzle them onto your favorite foods. 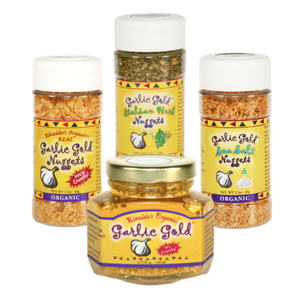 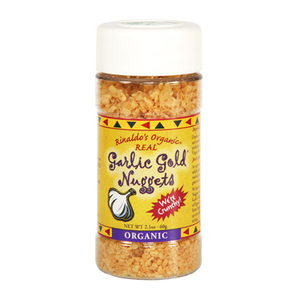 Our crunchy garlic Nuggets in six delicious varieties are a wonderful finishing condiment; shake or spoon them onto everything including popcorn, pizza, grilled veggies and more. 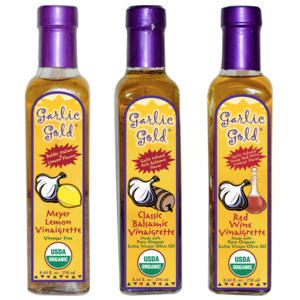 Our trio of Vinaigrettes add a whole new dimension to salads; they make incredible dipping sauces and are fantastic for marinating veggies, fish, chicken or beef.